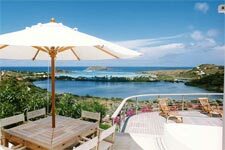 NEWPORT, RI, April 2007 –- Wimco Villas offers a selection of wonderful villas in St Barts for families and friends this summer at greatly reduced prices. Those who go to St Barts appreciate the peacefulness and unspoilt beauty of the island with its golden sandy beaches and its fine French-Mediterranean restaurants. St Barts often labelled the St Tropez of the Caribbean but without the crowds is the perfect island for summer as well as winter holidays. 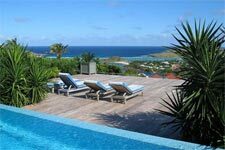 Although it may be the Caribbean's 'low' season the weather is still perfect and villas on St Barts are available for a fraction of high season prices. 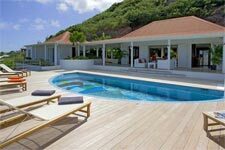 The very private Villa AUD (SIB AUD) in Mont Jean has a fantastic and spacious wooden terrace with stunning ocean views, as well as a shaded side terrace and brand new teak deck by the lovely infinity pool. With its modern open-plan living room and four separate areas for dining inside and outside, families will love the space and the comfort of this well-equipped villa. Wimco Villas offers Villa AUD at a two or three bedroom rate from $5,500 per week, including daily maid service. 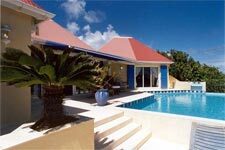 Villa Ever Sail (SIB BOT) is a 3 bedroom villa set high above Grand Cul de Sac. This property has plenty of space, wonderfully hand-crafted teak beds, a very relaxed feel and children will love the nautically themed bathrooms with their round port-hole windows and the mosaic pictures in the swimming pool. Wimco Villas offer Villa Ever Sail as a 1, 2 or 3 bedroom rate from $4,200 per week, including daily maid service. 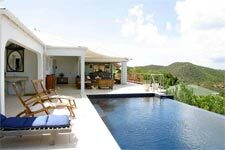 Positioned on the St Jean Hillside Villa Mystic (SIB MKA) enjoys breathtaking views of the bay of St Jean and Eden Rock. Elegantly furnished, with a beautiful infinity pool and large teak dining table that will seat 12, this five bedroom villa is perfect for large groups and entertaining. 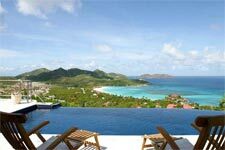 Wimco Villas offers Villa Mystic at 1 – 5 bedroom rates from $5,500 per week, including daily maid service. Villa Mystic has a minimum age policy, children must be 10 years old. Although many villas have already been booked, Wimco Villas still have a selection of 1, 2 and 3 bedroom villas available for Christmas 2007. For those booking now, Wimco Villas will offer the same villa each year to their clients – starting a new Christmas tradition. Wimco Villas is a luxury villa company, providing access to some of the world's most beautiful and exceptional villas in Tuscany, Umbria, Capri & the Amalfi Coast, St Tropez and the South of France, Morocco, Mykonos, and St Barts, The Virgin Islands, Barbados and many other islands in the Caribbean. Wimco’s inspection process of visiting and evaluating each villa guarantees that a match is made for each client’s expectation of value. As well as providing accommodation and destination information, Wimco can tailor make the villa holidays to suit each client's needs, whether it be private chefs, yoga instructors, yacht charters or simply a restaurant or rental car reservation.